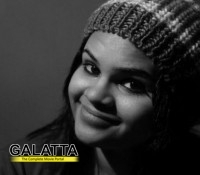 Vidyullekha Raman in Ajith's next! Though her debut film Neethaane En Ponvasantham opened to mixed reviews, Vidyullekha Raman seems to have grabbed the limelight with her bubbly performance! After being paired opposite Santhanam in Sunder C.'s upcoming comedy entertainer Theeya Velai Seiyyanum Kumaru, the actress has been roped in by Siruthai Siva for his next untitled film, which has Thala Ajith and Tamannaah in the lead roles. Excited Vidyullekha Raman said,"I'm extremely happy that I have got Ajith sir's new film. I'll be shooting for the film from the first schedule onwards. And for the third time in a row, I'm paired opposite N. Santhanam. I'm really looking forward to the project." The film is expected to go on floor from April 8, in Hyderabad.